Even if you don’t recognize the name Charlie McCoy, you’ve probably heard his music. Many of the great musicians who recorded in Nashville over the past fifty years have played with McCoy, a native of West Virginia who’s been working in the Nashville music industry for over five decades. He’s recorded with some of the best known country music and rock and roll legends, including Elvis Presley, Roy Orbison, Loretta Lynn, Johnny Cash, and George Jones. Charlie McCoy's new memoir is called 50 Cents and a Box Top. On a recent episode of Inside Appalachia, McCoy spoke about his life's story, which began in Oak Hill, W.Va. He was eight years old when he got his first harmonica, the instrument that would later launch his career as a session musician in Nashville. “I saw an ad in a comic book,” recalled McCoy. The ad said, "You can play harmonica in seven days or your money back. Send us 50 cents and a box top." McCoy put that harmonica away for a few years. After all, he was more excited about playing baseball and guitar. But when he was in high school, he remembered his old harmonica again when he heard blues harmonica player Jimmy Reed, playing on the radio. 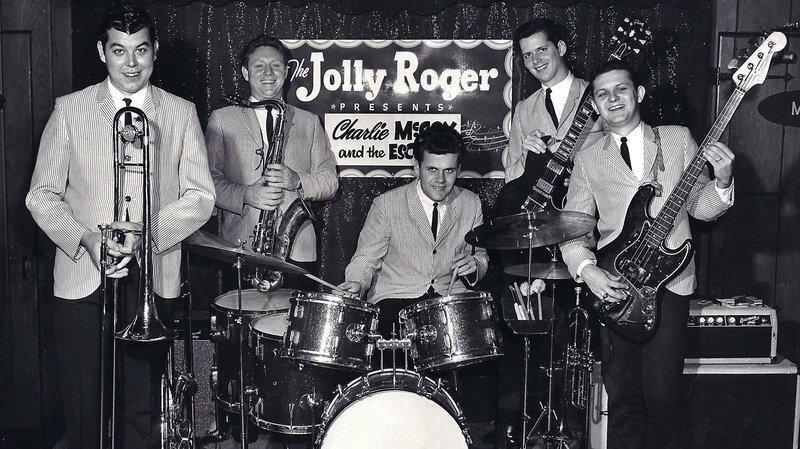 Charlie McCoy and the Escorts perform at the Jolly Roger in Printers Alley, circa 1965. 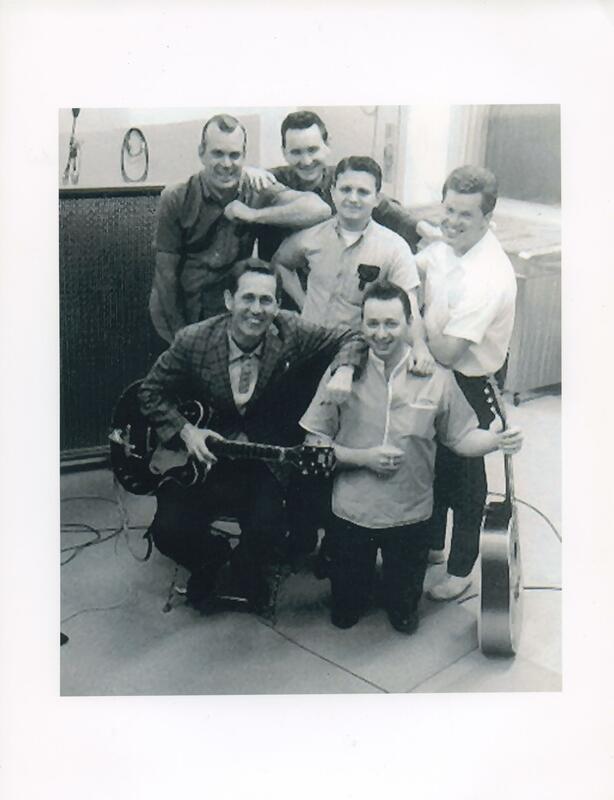 From left to right: Wayne Butler, Jerry Tuttle, Kenny Buttrey, Mac Gayden, and Charlie McCoy. By this time, McCoy had moved to Miami, Florida, with his dad, who bought him an electric guitar and got him music lessons. In the Miami public schools, his music teachers recognized he had a special gift for learning music by ear. Then, towards the end of his senior year in high school, McCoy met a Nashville songwriter named Mel Tillis, who promised to help him get a contract with a record company, if he ever made his way to Nashville. But the publisher got McCoy an audition with Chet Atkins and Owen Bradley, who at that time were two of the major producers in Nashville. But Charlie McCoy says his first rejection in Music City actually helped him find his calling as a session musician. Back to that day in 1959, Charlie McCoy had just been turned down by the two producers in Nashville. “And of course the best thing they did for me was turn me down as a singer,” said McCoy. That's because one of the producers, Owen Bradley, invited him to see a recording session at his studio. 13-year-old Brenda Lee was recording a song, called “Sweet Nothins'”. “And when I watched those musicians and then heard that first playback, at that moment I said, ‘hey I don't want to be a singer I want to do this.’ So that was that was my goal then to be a studio musician,” said McCoy. After he saw his first recording session in Nashville, Charlie McCoy was certain that’s what he wanted to do. But his dad insisted he finish college. He was in the middle of his freshman year at the University of Miami as a music major. So, he went back to Florida. “I had a teacher, a 70-year-old lady from France. Her name was Madame Renée Longy, and she had taught the great Leonard Bernstein, and she was incredible. And man, I'll tell you when I when I came out of that class I think I could write down a bird on a telephone wire. I mean it was that intense. And that that class would serve me well for the rest of my career,” said McCoy. “Longe was actually [a] supportive teacher in a lot of ways,” said Travis Stimeling. So he made his way back to Nashville, and in 1961, he got his first big break. He was asked to record harmonica on a song called “I Just Don’t Understand.” Ann Margaret was the singer. “[She was] a bombshell beauty from Sweden,” said Stimeling. “That showed Charlie off as kind of a harmonica player. That was really his first breakthrough as a session player,” said Stimeling. From 1962 on, Charlie had fairly steady session work, playing with Roy Orbison, Elvis, and Bob Dylan. He helped record three albums with Dylan, starting with Blonde on Blonde, an album that Stimeling researched while helping Charlie write his book. In sessions, McCoy’s musical theory training from high school and college helped him learn songs quickly. He could figure out intuitively how to create musical arrangements on the spot. He could also play multiple instruments, even playing the trumpet and the tuba at the same time. Another trick with two harmonicas impressed Johnny Cash. Meanwhile, apart from his session work, Charlie McCoy also worked on the show, Hee Haw (you know the one, with Minnie Pearl and Roy Clark.) Most of the actors and musicians wore overalls. “So I decided to try it for one season. Well you know it ended up 18 seasons,” said McCoy. The show ran from 1969 to 1991. After it was canceled, McCoy kept on with session work. He also recorded 40 solo albums and has regularly toured across the United States, Europe and Japan. He was inducted into the West Virginia hall of fame in 2008 and into the Country Music Hall of Fame in 2009. Even though he’s quick to point out that back in 1960 he was a college dropout, he was given an honorary doctorate of Music from West Virginia University last year. “Well it's tall corn for a kid from Fayette County. I can tell you that,” said McCoy. “You really can’t go too deep in the American popular music in the landscape of the last 50 years without finding Charlie. He’s everywhere,” said Travis Stimeling. “I mean he’s everywhere. And the thing is, he’s been able to play for 56 years as a consequence of that. If he were just a harmonica player not so sure that that would have worked out." Even though he spent a lot of his teenage years in Florida and most of his adulthood in Nashville, McCoy still calls himself a West Virginian. At 76, Charlie McCoy still keeps busy recording music and touring. He says he doesn’t plan on slowing down anytime soon. Charlie McCoy’s new book is called 50 Cents and a Box Top. There’s no place in America that’s gained a bigger reputation for country and rock and roll music than Nashville, Tennessee. So what does it take to make it there? Well, perhaps having West Virginia roots might help. There are so many talented musicians from our region who’ve found success in Nashville that some refer to the scene as the “WV music mafia.” But what about the folks who stay here in the Mountain State? What does it take to “make it” in the current music scene here? West Virginia native Bill Withers has been selected for induction into the Rock and Roll Hall of Fame. Withers grew up in Raleigh County. He will be inducted in the 2015 ceremony along with fellow performers Ringo Starr, Lou Reed, Green Day among others. He was inducted into the West Virginia Music Hall of Fame in 2007.